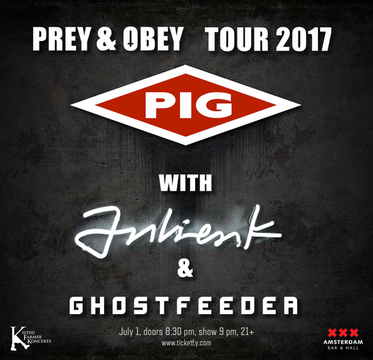 <PÎG> is Raymond Watts (ex-KMFDM), a British musician whose brand of electronic rock is danceable and deadly serious in turn. Watts's words spring from the well of gallows humour in a world of corruscating cruelty and truth. <PÎG> climbs peaks and mines troughs, and musical genres slide and collide like tectonic plates. Live band also includes En Esch, Guenter Schulz, Z. Marr and Galen Waling. Ghostfeeder is the brainchild of songwriter, programmer, and vocalist Derek Walborn. Pressing riffing guitars and get-up-and-dance bass lines through a filter of gritty synth leads and painstakingly calculated digital glitches, the project is the end result of dragging a lifetime of 8-bit video games across the sticky floor of your local rock music hall and then cleaning it up just enough to sneak past the bouncer at that electronic dance club you've always wanted to get into. Using video game controllers as musical instruments, custom equipment, and a self-contained light show, Ghostfeeder's ever-evolving live performance leaves and impression, thus far sharing stages and venues with Blink 182, Powerman 5000, The Bunny The Bear, Genitortureres, Nonpoint, Royal Blood, Leather Strip, and Filter. Thanks to overwhelming fan support, Ghotfeeder also played on the Ernie Ball Stage at the 2013 Van's Warped Tour. A collaboration on a music video with Chris Corner of IAMX propelled Ghostfeeder's name, music, and style into the international spotlight. Autumn of 2014 saw Ghostfeeder releasing "The Messenger," a conceptual EP about alien abduction under Ben Vanlier's (Ludovico Technique) Beyond Therapy Records. 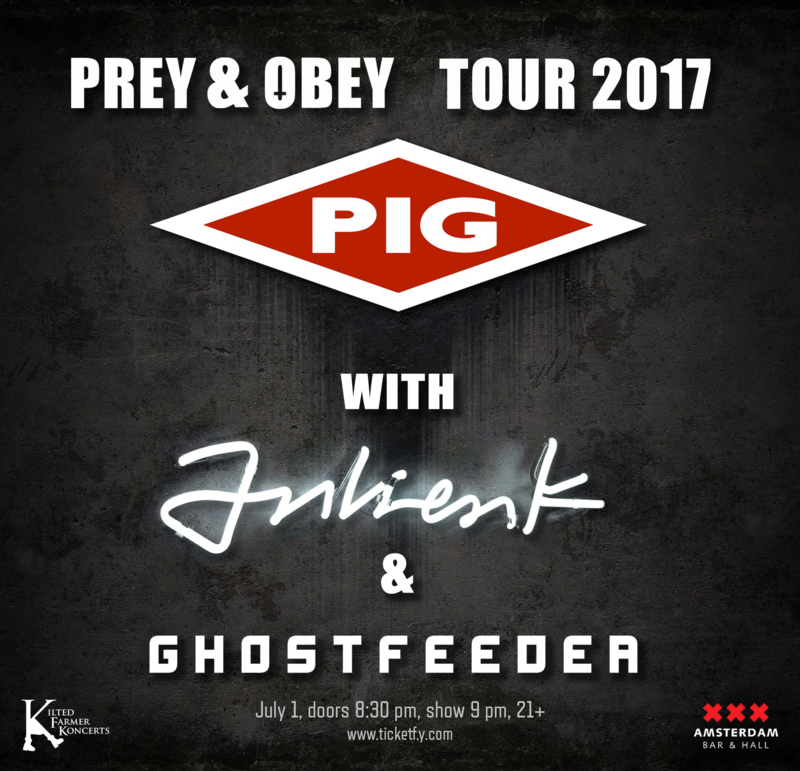 The following summer, a tour of the United States and Canada in direct support of En Esch (KMFDM, PIG) was successfully wrapped. Ghostfeeder's most recent album, "World Fameless," was released by Distortion Productions on July 8, 2016.